When it comes to you, nothing is too much trouble. Your initial consultation is free and we’re always happy to offer advice, in store or on site. Fitting is also a breeze with our considerate, friendly and highly-skilled fitters, as we work around you, not the other way around. With friendly, pleasant staff and highly competitive pricing, it’s no wonder that customers of Hoopers Carpets always go away happy. Hooper's supplied and fitted carpet to two bedrooms and the staircase. I am delighted with the quality of the carpet and the high standard of workmanship displayed by the fitters. They were professional and helpful and offered good advice. The work was done quickly and no mess was left. Found everyone very pleasant to deal with and was comfortable leaving them with my house keys. The carpets they fitted in my living room, bedroom and on the stairs and landing is very neat. Since my house is small, (with no storage room) they kindly fitted the carpet over several days so I could move all of my possessions around. They kept all their promises , including offering me a discount for early payment on completion. Highly recommended. 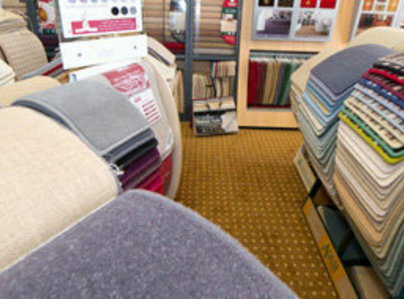 James at Hoopers provided good professional advice on the best choice for a stair carpet which would be durable. The fitting by David was very good and done with proper care and attention.Overall happy with the result and good value. I have just had the pleasure of dealing with Hoopers Carpets who fitted a carpet on our stairs and landing. From the initial enquiry, through to the estimate, fitting and completion I was impressed with their politeness, quality of service, customer consideration and efficiency. The whole process from initial enquiry to fitting took less than a month (even though the carpet was a special order to match existing) and the fitters were excellent, both in their quality of work and friendliness. On the basis of their service, we are already considering the next room in the house to be re-carpetted and will definitely be returning to Hoopers. Hoopers Carpets provide a really good service. Some years ago they supplied and fitted carpets throughout the house, and flooring for the kitchen, bathroom and toilet. They gave good advice, were efficient and helpful when measuring up, and the workmen were clean and tidy. Since then they have replaced the flooring in the toilet when we had a new toilet fitted, and made no difficulty about fitting a new piece of hardboard to fill the gap left. They were just as helpful and efficient with the small job as with the large one, and I have no hesitation in recommending them. Hoopers are so much more of a pleasure to deal with that the big carpet retail chains. In the last couple of months they've fitted a bedroom carpet for me, and then replaced my hall, stairs and landing carpet which was a much more tricky job. I've used them before and they have always been friendly, professional and helpful, both in the shop and when the estimators and fitters come. Their prices were as reasonable as anyone's and as well as their usual good advice and attention to detail, this time I was especially impressed that, when the carpet I originally chose turned out to be discontinued (unbeknown to them and not their fault), they went the extra mile to source a very similar carpet from a different wholesaler, which was just as perfect for me and even cheaper. I will definitely use them again. Hoopers installed a new bedroom carpet (including underlay) having previously sealed the perimeter of the room to stop dirt coming up from the gap in the floorboards. They carried out the work very professionally including being on time for all 3 occasions (including the quotation) when they came to our house and quickly rescheduled the carpet laying later in the week when they realised that the sealant wouldnÍt be dried in time for the carpet fitting the next day. All four of their staff were friendly, worked without fuss and cleaned up after they finished. Recommended.